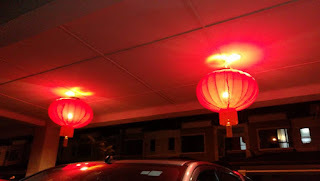 It is all set to welcome the Year of Pig in a couple of days!! A little corner of my house decorated with vases of cherry blossom and a basket of mandarin oranges. 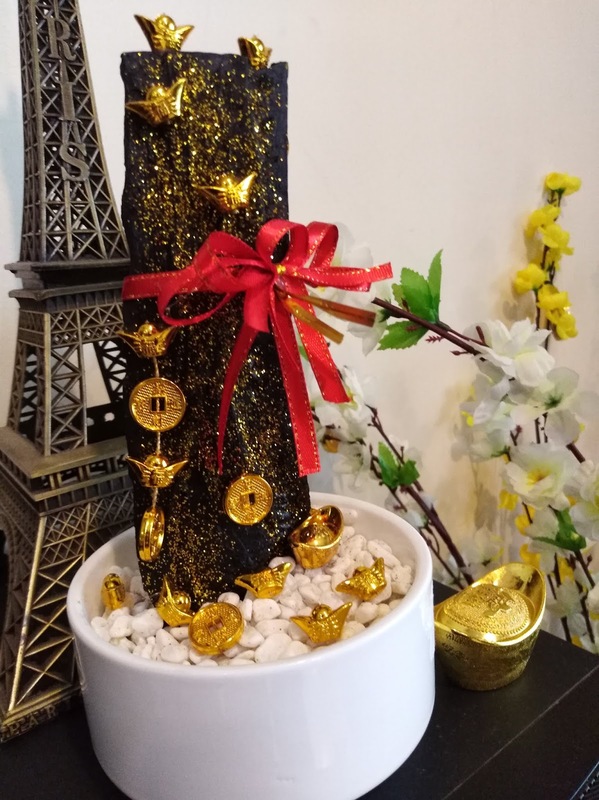 Also display of this charcoal decoration that we bought recently. Nian gao holds an important aspect in Chinese New Year. It symbolises good luck and prosperity. 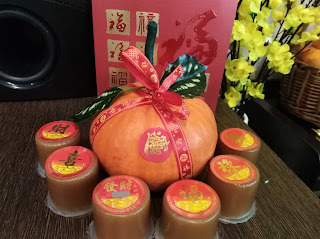 My mini nian gao with pumpkin. 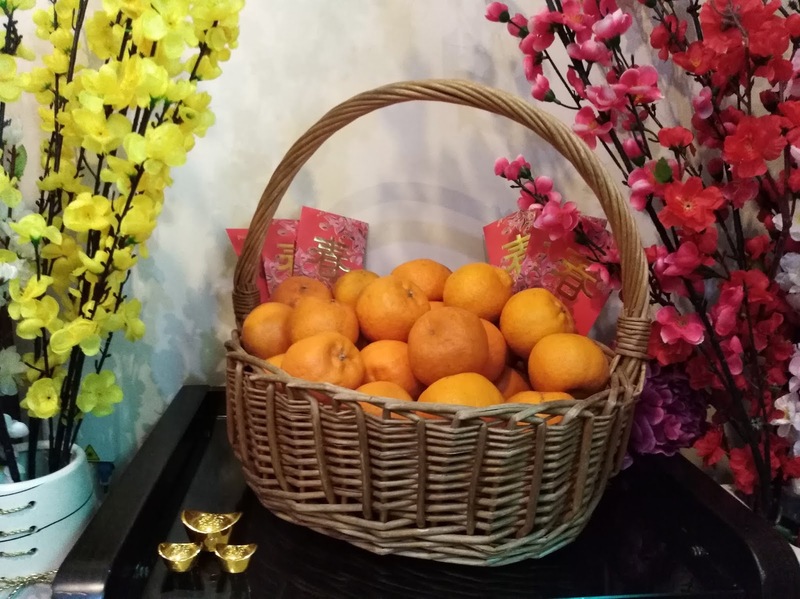 A basket of oranges means abundance and wealth. 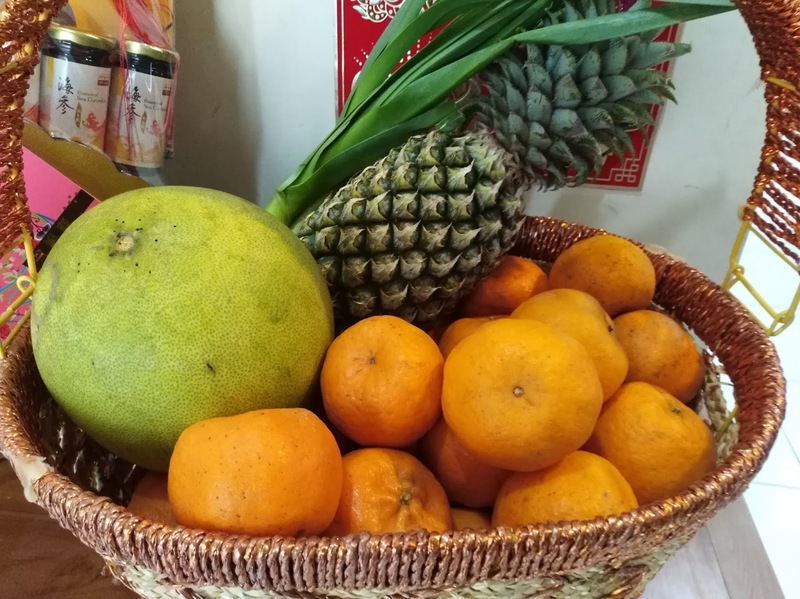 Another basket of oranges, pamelo, pineapple and leeks. 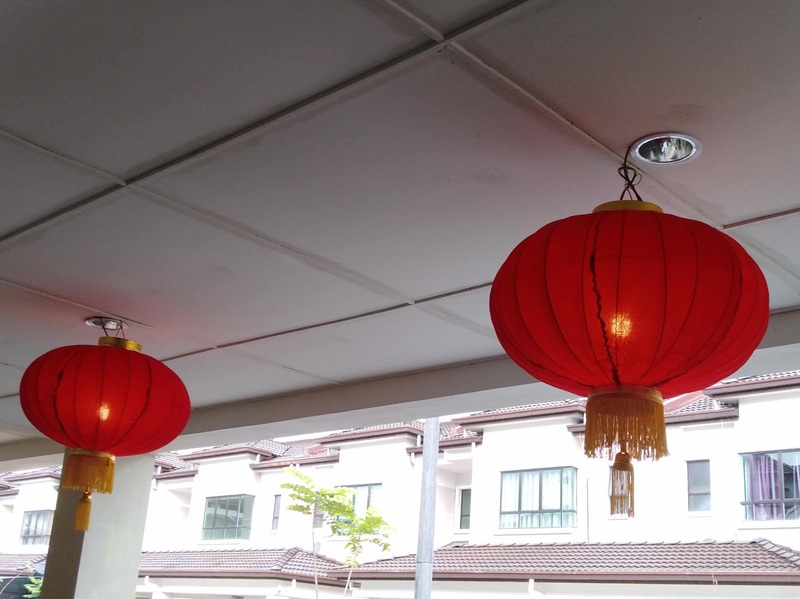 New lanterns were up too. 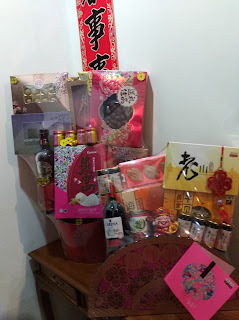 This year we received 2 hampers, such a great blessing for the new year. 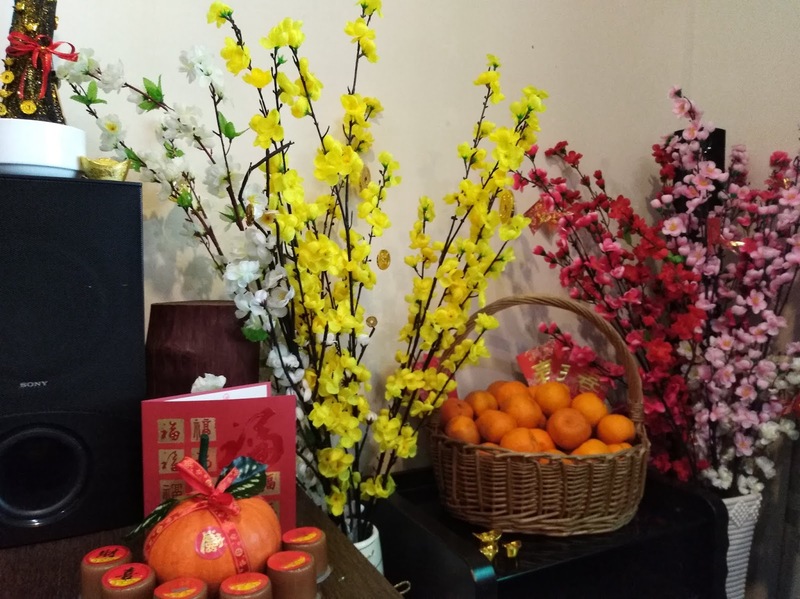 Wishing everyone a Happy and Prosperous Chinese New Year! Happy holidays! Wishing you and family a very Happy Chinese New Year! Happy Chinese new year to you and your family! Wow! You have so many nian gao! Will you eat these nian gao later? Lovely displays. 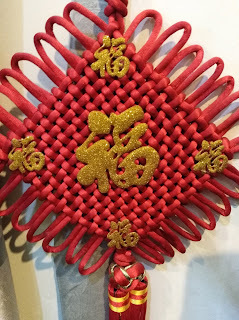 Happy New Year Qong Xi Fa Cai to you and all loved ones. I guess I can decorate my house again next Chinese New Year. I love your decorations! Happy Chinese New Year to you and your family! I always felt that big red lanterns are a must for CNY homes! They would look so grand at the porch after dark.